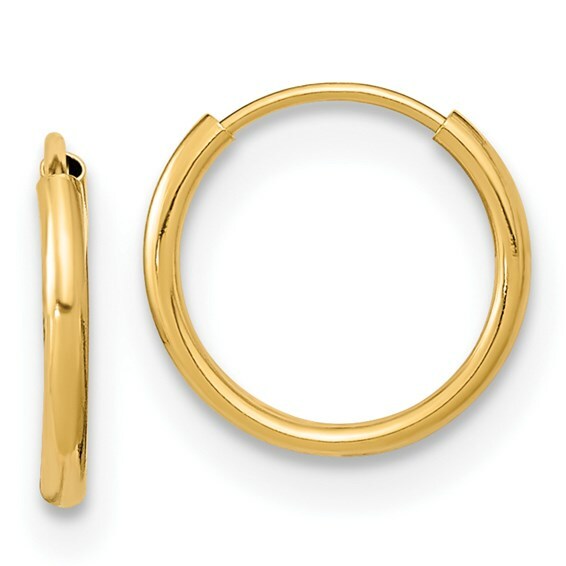 Kid's 14kt yellow gold Madi K endless hoop earrings have a polished finish. Item size: 3/8in x 3/8in. These dainty earrings are half the size of a penny. Import.